PennsylvAsia: 2017 Japanese animated film Mary and the Witch's Flower (メアリと魔女の花) returns to Pittsburgh, February 24 and 26. 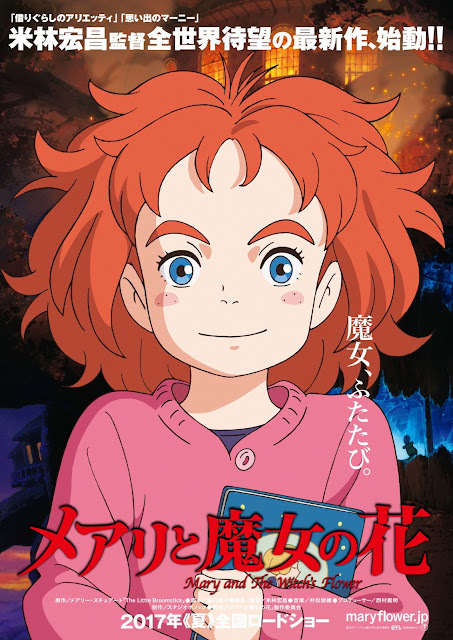 2017 Japanese animated film Mary and the Witch's Flower (メアリと魔女の花) returns to Pittsburgh, February 24 and 26. The movie will play at Cinemark theaters in McCandless, Monaca, Monroeville, and Pittsburgh Mills. Tickets for the English-dubbed show on the 24th and the English-subtitled show on the 26th are available online.